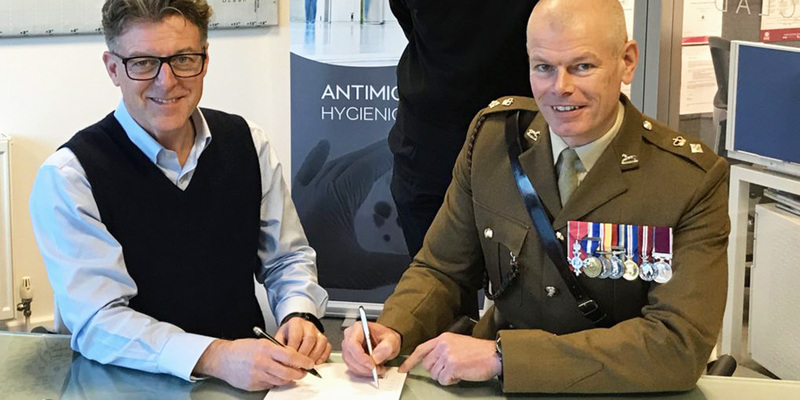 BioClad has become the latest business in North Yorkshire to publicly pledge its commitment to Britain’s Armed Forces. BioClad manufactures, supplies and installs the world’s leading antimicrobial PVC wall cladding system and suite of products, which are designed to fight bacteria, mould and microbes and create fully hygienic environments. BioClad products, such as wall cladding, wall protection, door sets, IPS units and flooring are proven, trusted and lasting and help protect lives around the world. BioClad is a recipient of the Queens Award for Enterprise and a finalist in the upcoming PD Ports Northern Powerhouse Export Awards 2019.